Google to Offer Android Users Browser Choice — This will involve asking users of existing and new Android devices (in Europe) which browser and search apps they would like to use. Svelte Native Framework — A framework (built on NativeScript) for building native mobile apps. Unlike React-Native and Nativescript-Vue, which do the bulk of their work on device, Svelte Native shifts that work into a compile step that happens on build. 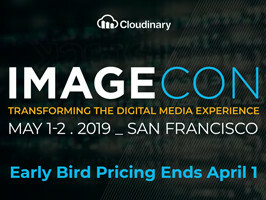 Attend the Ultimate Event for Developers About Rich Media — ImageCon 2019 is a 2-day event in San Francisco, CA on May 1-2 dedicated to working with digital media. Hear from experts at AWS, Microsoft, Smashing Magazine & more on topics from new image formats to PWAs. Don't miss it. Register Today. How to Choose the Right React Native Navigation Library — A look at some possible solutions to make the best navigation experience for users. Flutter Widgets: The Basics — Understanding the basics of widgets, the core building blocks used to build user interfaces in Flutter. React Native Team Surveys Developers' Pain Points — A look at the results of a survey of React Native developers about what they dislike about React Native. Kotlin Sequences: An Illustrated Guide — Easy-to-understand diagrams that demonstrate the difference between regular collection operations and sequence operations. ▶ When Should You Use A Progressive Web App? — This brief video (6 minutes) outlines the business case for PWAs and gives an overview of their features. Building iOS Apps On Azure Pipelines — Focuses on utilizing Azure Pipelines to set up a continuous integration process for a native app. An Adventure in OpenAPI V3 Code Generation — Building SDKs by hand can be a slow & painstaking process. Read about the challenges faced when we explored code generation while building our new Python SDK. Sophisticated Partitioning with CSS Grid — A detailed case study looking at creating compelling grid patterns by harnessing specificity. NativeScript Team Share Tips and Tricks — Some useful and/or little known tips and tricks that might aid NativeScript development. React Native Offline — A project for dealing with offline/online connectivity in a React Native app. A Look At An Original iPhone Prototype — An interesting bare-bones look at how the iPhone started out.